Project Child Save is a non-profit organization dedicated to helping prevent child abductions and kidnapping through education and public awareness campaigns. When these heinous acts are perpetrated against our children, Project Child Save, through its international network, finds these abducted innocents who have been taken against their will and sold into slavery, and retrieves them, returning them to their loved ones. Project Child Save is the continuation of lifetime of effort by Ty Ritter and other professionals in security and protection services. Ritter has worked for years in kidnap recovery and kidnap prevention. To date, Ritter and his team have recovered over five hundred kidnap victims from countries all over the world. Over half of the victims were children taken by strangers and sold into sexual slavery. 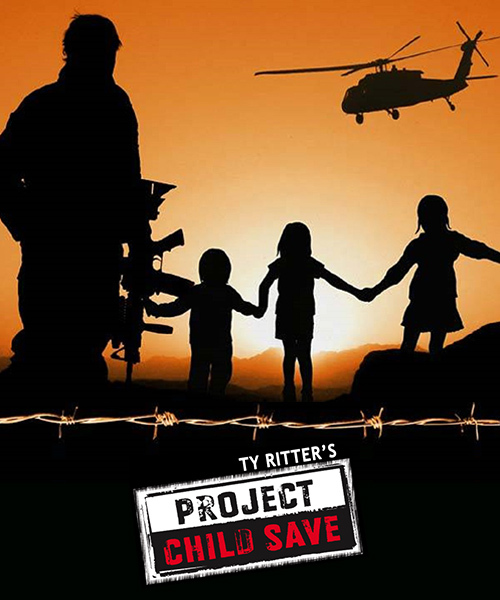 Project Child Save has been established as a non-profit organization in order to raise funds so that Ty and his team can continue their efforts and save as many children as possible. EMBARC is a non-profit organization, providing unique cultural experiences and interactions to high school students from Chicago’s most socially and economically isolated neighborhoods. The program forms partnerships with the public school system as well as local businesses and arts organizations in Chicago’s thriving cultural community. Donate to help us help others. Show your support and join the conversation. Stay up to date with upcoming events and spotlights.